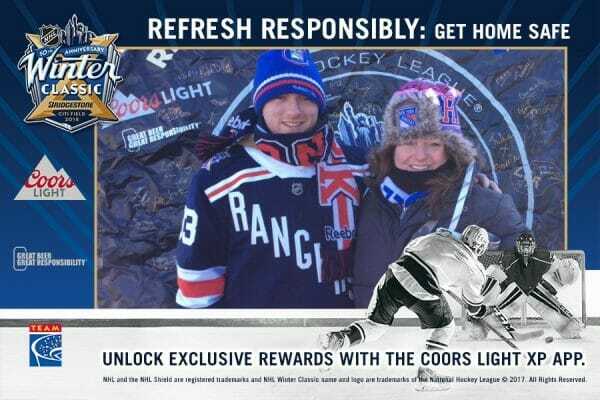 The NHL teamed with Coors Light and TEAM Coalition to promote responsible drinking at the 2018 Bridgestone NHL Winter ClassicTM at Citi Field in Flushing, NY. 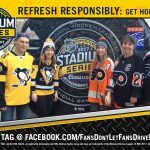 Prior to the game on January 1, 2018, 60 NHL fans made the pledge never to drive drunk, always to have a designated driver and never to provide alcohol to anyone under age. “Refresh Responsibly. Get Home Safe.” was the message. 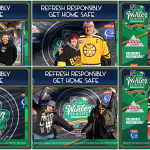 Hockey fans added their names to the Responsibility Puck – an 8-foot replica of an official NHL puck – to demonstrate their commitment to keeping the penalties on the ice and off the roads. 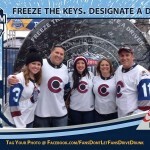 Fans shared their digital photos and the responsibility message by posting photos on Facebook and Twitter. 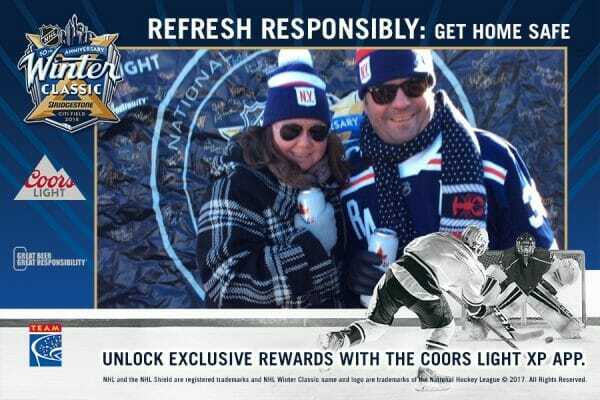 The 26 photos taken at the PreGame for the Winter Classic were viewed 99 times, an average of 4 views per photo. 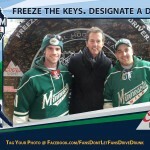 Every fan who made the pledge and signed the puck had the opportunity to receive a souvenir photo. 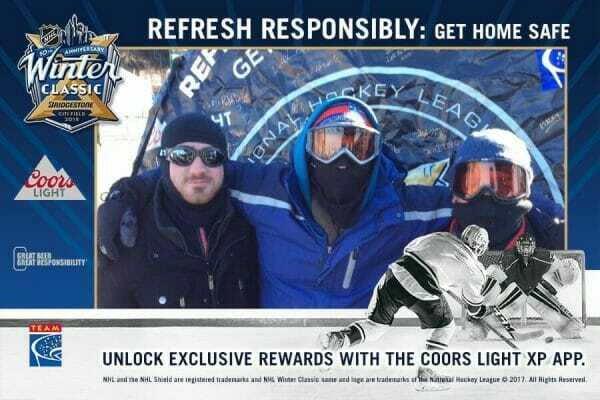 All responsible fans were entered to win a prize pack – including a $50 Shop.NHL.com gift card and branded items from Coors Light and TEAM Coalition – proving that Responsibility Has Its Rewards®. 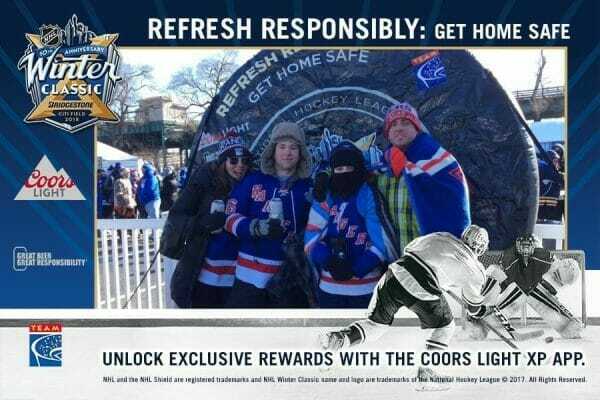 Inside Citi Field, an additional 144 fans pledged to be designated drivers at the 2018 Bridgestone NHL Winter Classic on Monday. In total, 204 NHL fans refreshed responsibly. 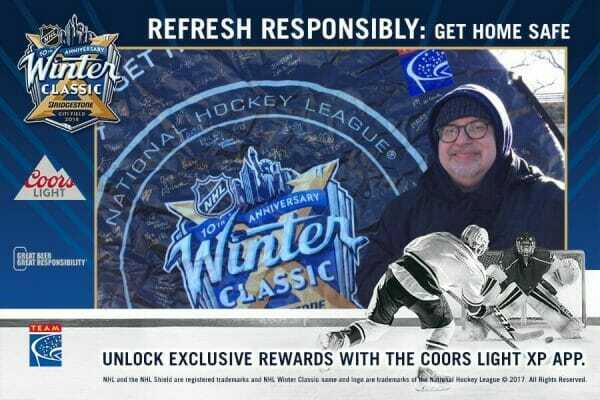 The Detroit Red Wings Designated Driver for the Season for 2017, Sharon Turbiak, and her guest attended the Winter Classic as the Grand Prize winner of the Responsibility Has Its Rewards sweepstakes. Drunk driving prevention is the top priority for TEAM Coalition and all its 24-member organizations, which include the NHL and MillerCoors. Through its diverse collection of storied breweries, MillerCoors brings American beer drinkers an unmatched selection of the highest quality beers steeped in centuries of brewing heritage. Miller Brewing Company and Coors Brewing Company offer domestic favorites such as Coors Light, Miller Lite, Miller High Life and Coors Banquet, as well as innovative new products such as Miller Fortune. Tenth and Blake Beer Company, our craft and import division, offers beers such as Leinenkugel’s Summer Shandy from sixth-generation Jacob Leinenkugel Brewing Company and Blue Moon Belgian White from modern craft pioneer Blue Moon Brewing Company. Tenth and Blake also operates Crispin Cidery, an artisanal maker of pear and apple ciders using 100 percent fresh-pressed American juice. The company imports world-renowned beers such as Italy’s Peroni, the Czech Republic’s Pilsner Urquell and the Netherlands’ Grolsch. MillerCoors also offers pioneering new brands such as Redd’s Apple Ale, Batch 19 Pre-Prohibition Lager, Third Shift Amber Ale and Smith & Forge Hard Cider. MillerCoors seeks to become America’s best beer company through an uncompromising promise of quality, a keen focus on innovation and a deep commitment to sustainability. MillerCoors is a joint venture of SABMiller plc and Molson Coors Brewing Company. Learn more at www.MillerCoors.com , at www.facebook.com/MillerCoors or on Twitter through @MillerCoors. TEAM Coalition is an alliance of professional and collegiate sports, entertainment facilities, concessionaries, stadium service providers, the beer industry, distillers, broadcasters, traffic safety experts and others working together to promote responsible drinking and positive fan behavior at sports and entertainment facilities. TEAM Coalition members and supporters include the National Hockey League, MillerCoors, Major League Baseball, Major League Soccer, NASCAR, National Basketball Association, National Football League, National Collegiate Athletic Association, Americrown, Aramark, Delaware North Sportservice, Legends, Spectra, Beer Institute, National Beer Wholesalers Association, Anheuser-Busch Companies, Constellation Brands, HEINEKEN USA, Live Nation, National Association of Broadcasters, Contemporary Services Corporation, International Association of Venue Managers, Stadium Managers Association and the National Highway Traffic Safety Administration. For more information, go to TEAMCoalition.org or FansDontLetFansDriveDrunk.org. NHL and the NHL Shield are registered trademarks and NHL Winter Classic name and logo are trademarks of the National Hockey League. © NHL 2017. All Rights Reserved.